A model that i find much more realistic is the eco-cycle model, a business model that I found out about from 2 great profs of mine – Brenda Zimmerman and Frances Westley. This model, based on the work of ecologists (C.S. 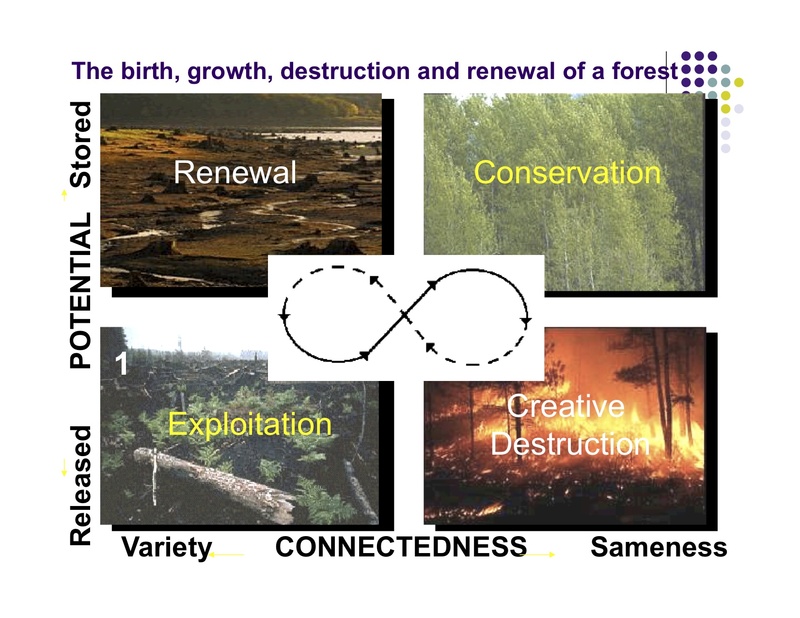 Hollings being the primary one) demonstrates the different stages of an organization or project as it relates to a forest ecology through a closed infinity loop. The joy of the Ecocycle is that it is not premised on some fictitious belief that growth is inevitable and something that will always happen, but that there is a balance between the new and old, things live and die, and that is the natural and sustainable way. I find this model, though seemingly radical, much more practical. Let me explain in more detail. 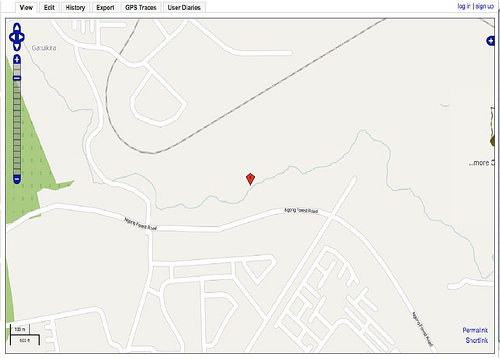 So, this brings me to the Kibera Mapping project. This project is new (about a year old) and quite impressive … ok, its mind blowing. 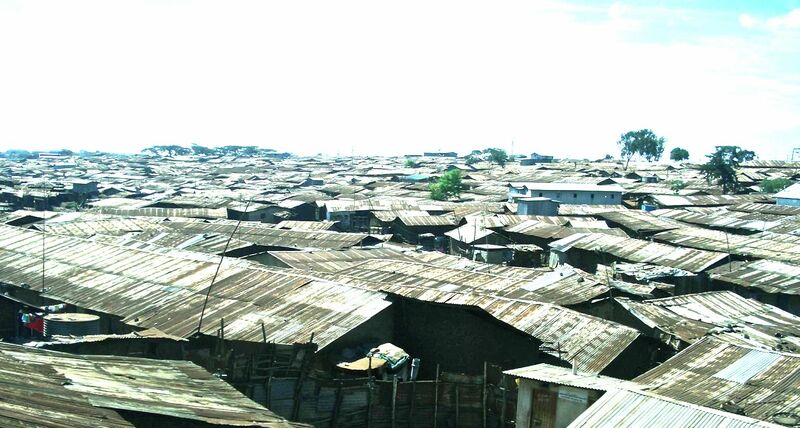 Kibera is known as Africa’s largest slum. As of little more than 6 months ago if you went to find Kibera on a map or in google earth you would find a big blank spot, and if you were to look at it from the air, you would be faced by endless tracts of corrugated tin roofing. But actually under those roofs, and between the tightly packed in houses they cover, are up to 1,000,000 people (most of them children and youth) getting on with their day to day lives. In talking with the coordinators of this program – Mikel, Jane, Erika and Josh to name a few – they talked about how through the making of the maps the youth were for the first time able to tell the story of their community, and how proud those youth were of their community. Wow, that is impressive and quite a paradox. 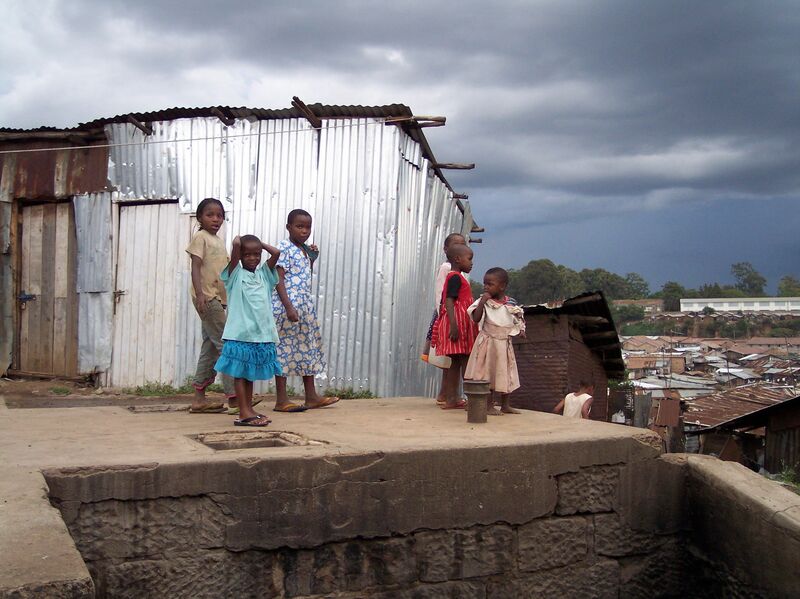 Youth having pride in their home, which is in one of the largest slums in Africa. Who would’a thunk it? And all through the use of a tool as simple as mapping – a tool which is getting simpler to use and access as the days move on through improvements in technology, access to the internet, etc. Yet, no matter how good the project is now, we come back to the ecocycle above. 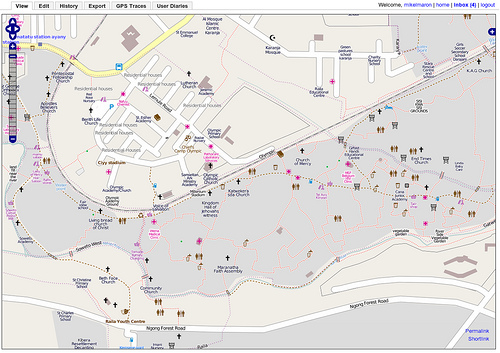 Map Kibera is clearly in the exploitation phase – really, in relation to a forest, Kibera is literally an unmapped wilderness. As well, there are tons of resources to engage to make this project go, most obvious are the young people, but as well the community agencies, the community itself, the mappers, and the many many NGOs that wish to do good. What was heartening in this was that the people in the project knew that they had to be looking towards how this was to be sustainable – they are thus smack dab in the middle of eco-cycle conservation phase. How to consolidate what they have built; who to invest in – looking for the good managers, and who to help move along. There is a satisfaction of success, yet a building anxiety about exploding demand and ability to meet it. Yet, unlike many NGOs and businesses, with this group there is no desire for those that initiated it – who were for the most part not from Kibera – to stay on and grow with the project. It is there desire to hand it off, assure its sustainability, and effect positive change. This makes the next phase, Creative Destruction, both easier and more complex. Easier in that they are not compromised by wanting their own jobs and having to sustain those; easier in that they are not falling into the trap that many NGOs fall into where they may effect change, but not sustainable change. Harder in that, as the name connotes, there has to be some destruction – things cannot stay the same as the resources aren’t the same. Things will change – physical resources such as technology, space, money may not be there in abundance as before; people resources will as well change; and, how the project is run will clearly change with new people stepping in and old ones taking on new roles. I don’t profess to know whether Map Kibera will be sustainable for years to come. In all honesty, even if it were to fold in the next while, the change they effected would be positive. I do know that whatever the project looks like now will be completely different in the future. But with the commitment of the mapping crew to find a sustainable path and pass the project on to the community the chances of its success are much increased. Kudos to the mapping team Regy,Mildred, Maureen, Boss,Douglas, Hassano,Zack,Millicent,Lucia.Great work.You are such an enthusiastic humorous and hardworking batch. Thanks for all your great work to Jane — sounds like a great team you have. Yes, quite impressive. What are you doing these days sammy?